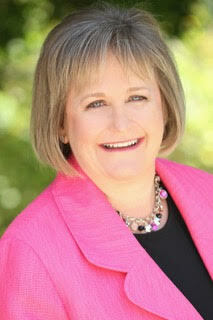 Joby Myers is well experienced in the staffing industry having ten years of experience. He has demonstrated his leadership and account management skills throughout the years bringing great success to ProLink through multiple roles. Leading by example, Joby is now heading the travel division of ProLink. 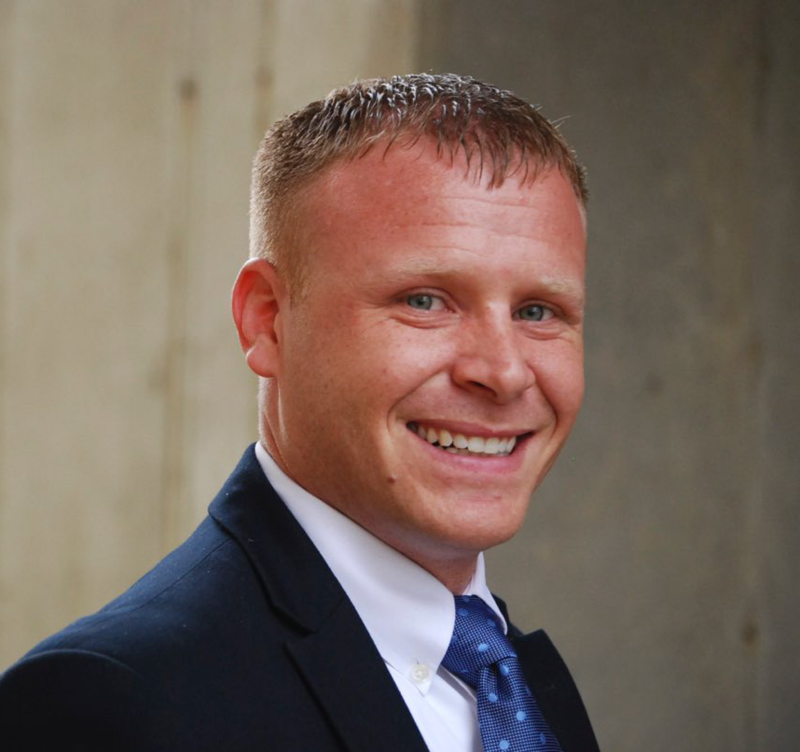 His passion is relationship building with clients as well as developing his direct team to grow the organization to be a premier staffing organization within the industry. Recognizing the need for integration of the “human-touch” and automation in staffing, Virginia Watson founded Watson Workforce Solutions in 2017. With a Bachelor’s degree from the University of Richmond – Robins School of Business, completion of IMD Business School’s Executive Leadership Program, and over 30-years of experience, Virginia has put her passion and knowledge to success in the staffing industry. 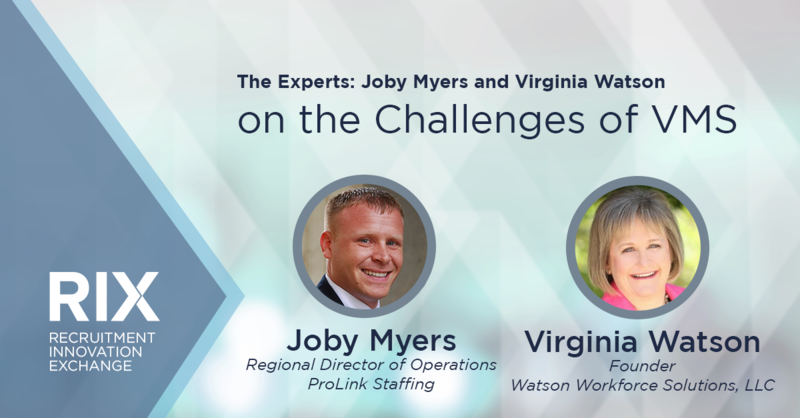 In this clip, Joby Myers, Regional Director of Operations at ProLink Staffing, and Virginia Watson, Founder of Watson Workforce Solutions, LLC, discuss the challenges and opportunities of leveraging vendor management systems. Is VMS a challenge or opportunity? Joby Myers: Depending on the VMS, I think it can be an opportunity. I also think depending on the VMS, it can be a challenge. You know, traditionally from my staffing experience, VMSes create more of a challenge than they do an opportunity. I understand why facilities use them. I understand what they’re trying to do as their overall goal to capture span and be able to limit vendors and contact points. I definitely understand the functionality of those aspects. But one thing that the VMS creates is a disadvantage for itself, for the clients, or the hospitals. What I mean is the communication aspect because every single hospital, every single manager has a uniqueness to what they need for the culture or for the right fit for their organization. And the VMS, a lot of them are non-contact, so vendors are not able to speak out or call or find out what is priority for that manager or that client. With the VMS it depends on who’s utilizing that tool. Put junk in, you get junk out. So if you are running a level one trauma facility and you have a ton of patients coming in nonstop, it is a very fast paced environment within the ER. You’re dealing with a lot of very high acuity patients and all you say is “I need an ER nurse to work 7 a.m. to 7 p.m.,” the firm can’t necessarily qualify or screen the candidates properly for what they’re stepping into, so therefore it will hurt attrition or retention rates. It will cost more money for everybody involved. Then also will it create challenges within your own organization? So being able to have that communication with the end-using manager is vital. It’s very vital to understand are they more of a family type environment that they want somebody in there that has a good attitude and willingness to learn and be able to train up or is experience an absolute must and they got to have that specific type of experience to be able to provide or to produce in that environment right then and there. Virginia Watson: I think for me having grown up, if you will, in the commercial staffing side of the house and the professional staffing side of the house, the evolution of VMS, it’s probably about seven to 10 years ahead of the healthcare side of the house. So we’ve lived through that ebb and flow and really transformed over the years how we respond to those types of opportunities. And I don’t think it’s as much the VMSes as I do it’s really dependent upon the MSP and whether or not A) contact is allowed and B) how well the program is managed and how good is that data integrity and how much detail are they getting because I think all of those things matter and driving success of the program, whether you’re one of four vendors, one to 44 vendors also matters. I think there’s a lot of factors that go into it. I actually, 10 years ago would have rather put my head in the sand than face forward and say, “MSP is really going to change the way we do business.” VMS is the technology that’s driving the change because customers really don’t have access to the data. They need the data. So to your point, we live with it. I think for most staffing firms, it creates an opportunity for them to grow their business, but they have to change their model. They have to change what their recruiters are focused on. It’s not about the relationship, it’s about speed. It’s about finding the right candidate and finding it with limited information. Now that sometimes means you’re not necessarily going to make the right match. With healthcare that has great consequences for the hospital and for the staffing firms. Whereas for the commercial side of the house, not as much. Even for the professional side, not as much, but it’s really all about the program, how well the program is managed, how they are using the data, and how you choose as a staffing firm to respond to that in building the right solution to deliver to that model. It means the compensation plans have to change for your recruiters. It means the communication cadence you’re used to changes dramatically. So you may have programs in place that require recruiters to do A, B, and C and do them at four hours, eight hours, 12 hours, five days into a job, etc. All of that has to go aside and you’ve got to change your model to deliver into a new environment. It’s the same thing you’re delivering, it’s a person, but it’s using a completely new set of rules. So the rule book needs to change. Therefore, the training for the recruiters need to change and their compensation plan.